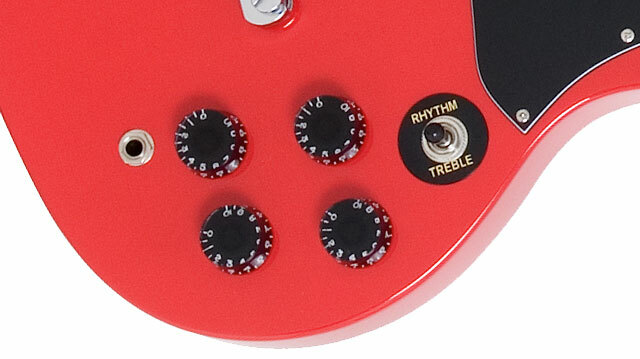 The G-310 uses the same dimensions and build techniques as vintage SGs made in Kalamazoo factory in the ‘60s. The ’67 style solid tone rich mahogany carved body gives the guitar a balanced feel on stage and in the studio (unlike cheap imitations that tend to be neck-heavy). 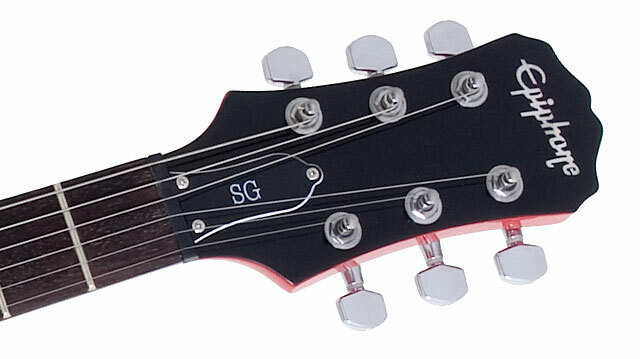 The SlimTaper™ “D” profile mahogany neck has 24.75” scale with 22 frets and a 12” radius for incredible reach thanks to the SG’s classic cutaway. 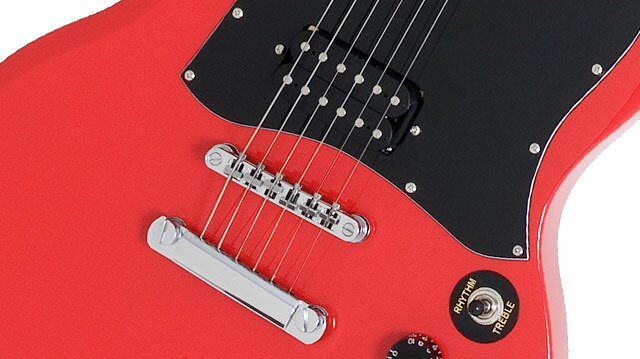 And for that one-of-a-kind SG feel, the G-310 has a rosewood fingerboard with a 1.68” nut.